The cluster serves as a national platform representing the interest of biotechnology sector in the Czech Republic in order to accelerate and strengthen its commercial activities. CZEDMA is an association of Czech manufacturers and suppliers of in vitro diagnostic products. The International Clinical Research Center of St. Anne's University Hospital Brno (FNUSA-ICRC) is a new generation science and research center focusing on finding new methods, technologies and medicaments for effective prevention, early diagnostics and individualized treatment of cardiovascular and neurological diseases. Our mission is science and research. State-of-the-art equipment, cutting-edge technologies and international cooperation. This is what research at MU is all about. Charles University is a leading research university that combines high-quality science, research and education on both a global and national scale. Founded in 1348 by Charles IV, King of Bohemia and King of the Romans, as the first Studium generale north of the Alps and east of Paris. Founded in 1913, it is currently one the biggest universities of the Netherlands with a student population of 23,000 and a research community of circa 1,400. Scholars and students in seven faculties and two institutions work on global social challenges in the areas of health, wealth, governance, culture. Austria's largest Research and Technology Organization (RTO) belonging to the first league worldwide in many of our areas of research, a powerful development partner for the industry and one of the top employers in the international scientific scene. R&D service provider. We develop products and services for you using microsystems engineering: from the initial idea or concept through to product – across all industry sectors. The project objective is to establish a modern centre of excellent science called Central European Institute of Technology, CEITEC. As the official portal for Czech biotechnology, Gate2Biotech serves to biotechnology companies, suppliers, investors, institutions, students and general public. JIC supports innovative companies, science, research and students with original ideas by providing them with money, consultancy, contacts and spaces. Operation Programme Enterprise and Innovations for Competitivenes. 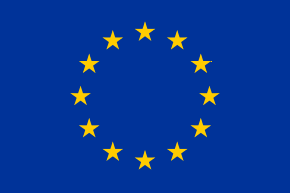 Application in the field of in vitro diagnostics was co-funded by the European Union. Research and development in the field of in vitro diagnostics. Engineering of new biomaterials and biopharmaceuticals for the diagnosis and treatment of the cerebrovascular and neurodegenerative diseases.